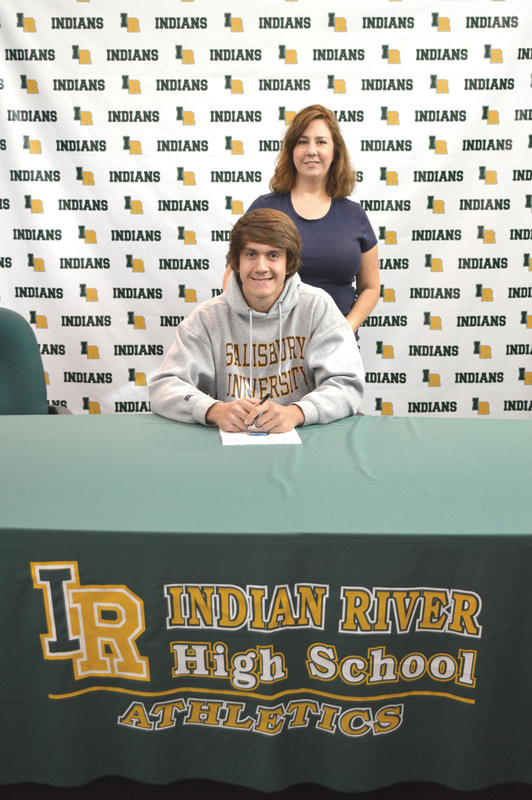 Indian River High School seniors Michael Corcoran and Helen Davis made their choices official last Thursday for where they will be moving on to in the fall. 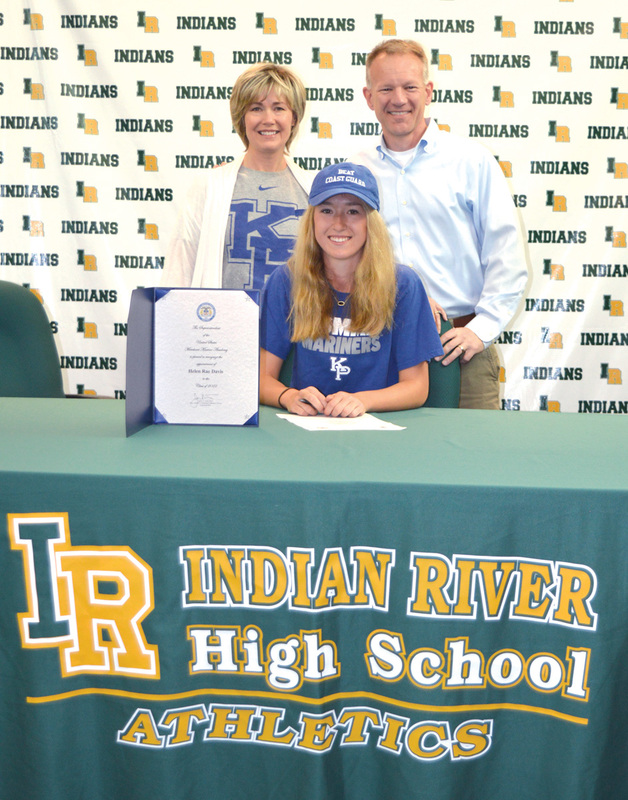 Signing day for student-athletes is always a special time, and last Thursday, May 3, was no different for a pair of Indian River High School seniors, Helen Davis and Michael Corcoran. Surrounded by family, friends and coaches, the duo each made their choices official for where they will be moving on to in the fall. Davis, a midfield/attack on the girls’ lacrosse team, decided to attend the U.S. Merchant Marine Academy, where she will major in marine transportation. This season, Davis has been one of the leaders for an Indians squad that has caught fire as of late, with three straight wins. She has scored 18 goals and has added three assists to the Indians’ offensive effort. Corcoran is a two-sport athlete at IR. During the fall season, he plays on the offensive and defensive lines for the football team, while in the spring he is a member of the track-and-field team. The latter sport is the one in which Corcoran has decided to continue as he matriculates to Salisbury University in the fall.